How Do I Know We're REALLY Compatible? Typically, we meet someone to whom we’re attracted, start seeing him or her, sleep together and then we ask ourselves, “Is this the right person for me?” These are not strategic or effective approaches to dating but rather passive approach to dating (no strategy is a strategy). Instead, why not try an approach that is proactive. By proactive, I mean having a clear understanding of who you are and therefore the type of person you want to attract – or who is best for you long-term. What’s not going to work is getting “hooked” on a person and then having your judgment clouded and losing objectivity. Figure this out before you get too involved. It’s a heart saver and a sound, strategic way of navigating the vetting process. You will need to determine several factors to make a strategic assessment of your long-term compatibility. As with all matters of the heart, it’s good to have a concrete plan and an understanding of your strategy going in, however, you won’t know until you try. So, don’t let fear of the “unknown” stop you from trying. Values: What are your spiritual or religious beliefs? What are your views on family and gender roles? Is he trustworthy, dependable and a person of integrity? Is he consistent about who he is? Does his words match his actions? Does he believe in marriage? How does he envision raising children? For instance, have you thought about whether you want to scale back work once you have children? Do you want to keep working and hire a nanny or put the children in day care? These perspectives will matter. How do you spend money? Would you prefer to take two luxurious vacations a year or would your partner rather go on multiple trips throughout the year but on a budget? Budget doesn’t mean you aren’t making good money. It’s not about your bank account; it’s about your philosophy. These matter. Sure, there are always compromises – as long as the compromise is not one of your deal breakers – we’ll talk about that another time because it’s very important. See where I am going with these questions? Compatibility: Do you have enough shared interest and vision for the long-term? It is important to have similar long-term vision of how you want your life to unfold as a couple. Studies have found that creating a shared vision and meaning around your relationship will result in greater relationship success and happiness. For example, if you want to buy a house close to your parents in Vermont but your man wants to live abroad, think about it. Also, most people think that compatible means both people need to love to ski, hike, read, etc. This isn't necessarily the case, as shared hobbies may be nice but not essential to the success of your relationship. Knowing yourself well is key to determining this factor. You have to be honest with yourself and drill down to “why” a desired trait is important. Otherwise, we tend to gravitate towards what is familiar even if the familiar is negative. For example, if you tend to be more introverted and enjoy quiet nights at home on the weekends and you seek someone who is more extroverted and who enjoys being around people and activities then, initially, this balance may be an attractive quality for you. AS LONG AS you understand that when the thrill of the initial phase ends, and you get real about the person you are with, you may end up wanting to do different activities on the weekends. This may translate into not spending much free time together. Will you be okay with this? How important is this element when you look at it from the point of view of the next 30 years of your life? As an aside, I highly encourage maintaining your own interests and hobbies. Sure, it’s nice to have common interests and hobbies; however, studies have shown that having common interests is not as impactful as having a shared long-term vision. Now, if your partner sees you in high regard, as he should, then he may eventually take more interest in your interests - not because he cares about the activity itself but because he cares about you and learning about what’s important to you. Emotional health: I personally believe this element to be the most accurate and important predictor of long-term success in relationships and there have been studies to back this up. We all have baggage because we all have experiences – some good and some not so good – that we bring to the table. It’s not so much what happens to us, as the saying goes, but how we respond to it. I can’t agree more. You see, we all have the capacity to experience real love but not everyone has the capacity to love us the way we need to be loved. Do you get this? Does this resonate? It’s so important to come to terms with this. Some people are not capable of loving us the way we need. Some people have too much baggage that they haven’t come to terms with and it will negatively impact your life. Some people, unfortunately, are broken on the inside and hide it very well. These are highly functional, “successful” citizens of the world but they are also hurting deeply on the inside. They do not have the capacity to love you in a secure and healthy way. You have to learn to discern one’s capacity vs. compromising on something you think you can change in a person. People will not change because you asked them. It’s not loving to ask anyone to change for you. People only change if they truly see that they need to change because what they are doing is not working (acceptance and acknowledgement). It is only then that they may (or may not) feel motivated enough to change their behavior and keep practicing to make this new behavior a habit. Change is absolutely possible and doable but difficult without these fundamental factors. Think back to the last time you made a real, lasting change. Can you think of one? It’s not loving to ask others to change for you or your lifestyle. If you don’t like the way the person is then I wonder why you’re with him. You always have the choice to leave. Love is optional. Commitment is a choice. What happens in life and in relationships is that we keep encountering the same unresolved issues even though they may initially look very different (we are very good at rationalizing) – until we actually heal the parts that need healing and learn what we need to learn. Have you noticed you have a “type” and perhaps you keep dating the same type of guys? Now you know why. We tend to gravitate towards the familiar and that familiar is our emotional resonance. What this means is that what triggers within us based on our experiences, we seek, simply because it is familiar to us – even if it is negative (yes it’s true!). Most of us are not making these choices intentionally. We don’t think about what’s going on, on the inside. Start now. If you truly seek to understand and accept your and your partner’s emotional health, you may come to realize that a person who looks great on paper and with whom you have chemistry will ultimately not be able to give you what you need on an emotional level: feeling valued, accepted, and seen for who you are. Just as we want to be loved for who we are, remember that it is equally unfair to expect others to love us in a way in which they are not capable of loving us. Again, we all have the capacity to experience real love but not everyone can love us the way we need. Remember that. P.S. Share this article with anyone who may welcome a fresh perspective and a strategic approach to dating successfully. P.P.S. I’d love to hear from you. 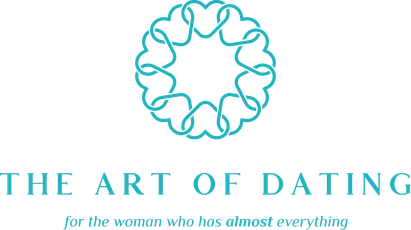 If you have comments or for more information on working with a dating coach to drive results, email eunice@artofdatingnyc.com.